Oh the weeds! They pop up when and where it is least convenient, changing my entire day’s plan… and dinner. I have decided to take advantage of my bounties of weeds over the years and have come across some delightful ways to prepare them. For this time of year, I am dealing with dandelions, lamb’s quarters and upland cress in my garden, and soon to be in my kitchen and on my plate. Weeds can be not only delicious, but packed with good nutrients. 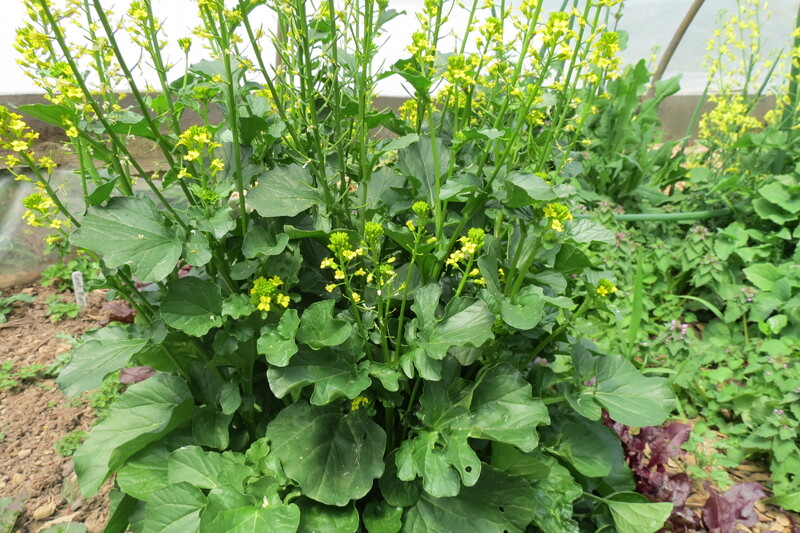 Upland cress contains vitamin C, Riboflavin, Iron and Calcium. Lamb’s quarter’s contain vitamin A, folate, magnesium, potassium, vitamins E, B6, and thiamine. Dandelions are a real super food, bearing vitamins A, C, B1, B2, B6, E, K. Dandelions contain respectable amounts of Iron, Calcium, Magnesium, Manganese, Copper, Phosphorous and Potassium. And dandelions are 14% protein and contain all essential amino acids so it’s a complete protein. One cup of chopped dandelions contains 1.5 grams of protein. Put pistachio nuts in a ziplock bag and roll with rolling pin to crush. Separate larger chunks from ‘dust”. Place larger chunks into a skillet on over medium-low heat to toast. Shake pan occasionally while toasting, and remove when aroma starts to release (about 2-3 minutes). Remove from pan & set aside. Trim the Upland Cress at the stem, then trim down to remove all stems. Place beet slices in a salad bowl. Cut slices into quarters. Add Upland Cress and balsamic dressing and toss. Separate onto two plates or bowls. Sprinkle toasted pistachio pieces over salad. Take each slice of goat cheese and roll it in the pistachio ‘dust’. Place two dusted goat cheese slices atop each individual salad. The Beans: Soak 2 cups of beans overnight. The next day drain and rinse. Transfer to a pot and cover with water + an additional 1/2 “. Add a generous amount of sage, 1 crushed garlic clove and a splash of olive oil. Bring to a boil and cook on low heat for about an hour and a half until the beans are crumbling. 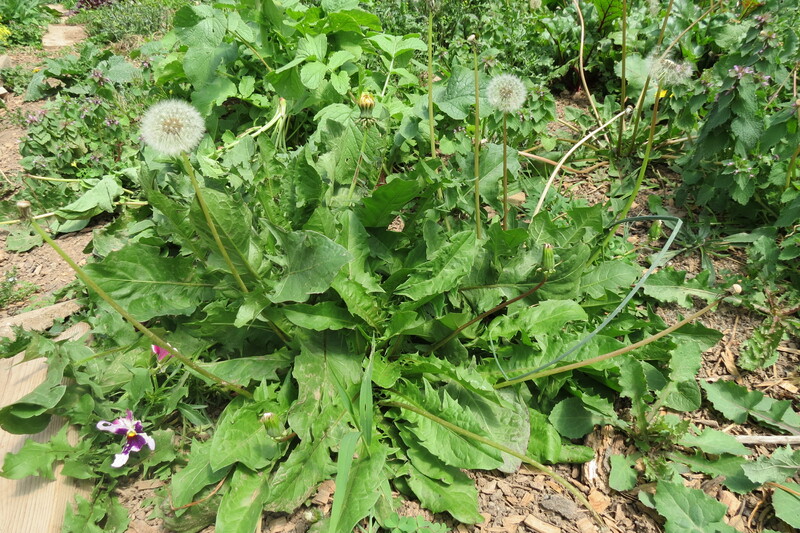 The Greens: Take the 2 bunches of dandelions, chop the stems off and cook in boiling water for about 15 minutes. Reserve ¼ cup of the cooking water and strain well. Heat a pan with olive oil and 2 lightly crushed garlic cloves. When the garlic begins to smell add 4-5 seedless and chopped tomatoes. Cook for 10 minutes until the tomatoes turn slightly soft and add the greens, some more olive oil, salt and fresh pepper and the reserved liquid. Cook while stirring until all the liquid evaporates. That’s it. Back to the Beans: When the beans are very soft, transfer to a food processor and puree. Don’t add all the liquid at once. The consistency should be that of a thin polenta or a very thick soup. Add more salt and olive oil. I used sage from my garden which turned out to have very little sage flavoring this year…I added more by sautéing a few sage leaves in some olive oil with garlic cloves. This gave the bean puree a wonderful sage-y flavor, but you may not need it. Place the bean puree in a bowl, top with the dandelion leaves and drizzle olive oil. I have a feeling a little parmesan would work well too. Do you have any good purslane recipes? I plan to post many more as we are dealing with the weeds in our gardens. Yes I do have some good purslane recipes. Purslane is prolific a little later in the summer in our gardens. I am starting to see burdock that we’ll probably pick and eat next week. Stay tuned! I love beets in a salad. I like to roast them in foil with a little olive oil and salt just like a potato. The result is a surprisingly sweet beet! Great counterbalance to any sour taste elements or vinagarettes! Roasted beets are unbeatable! Thanks for the tip. This is for my gardeninf friends, weeds are happy plants! I’m glad you liked it, There will definitely be more to come on edible weeds! I also really like this and so wish there was someone who would walk around my yard with me and tell me what is edible. Tammy, I wish I spent more attention to weeds when I was in school! 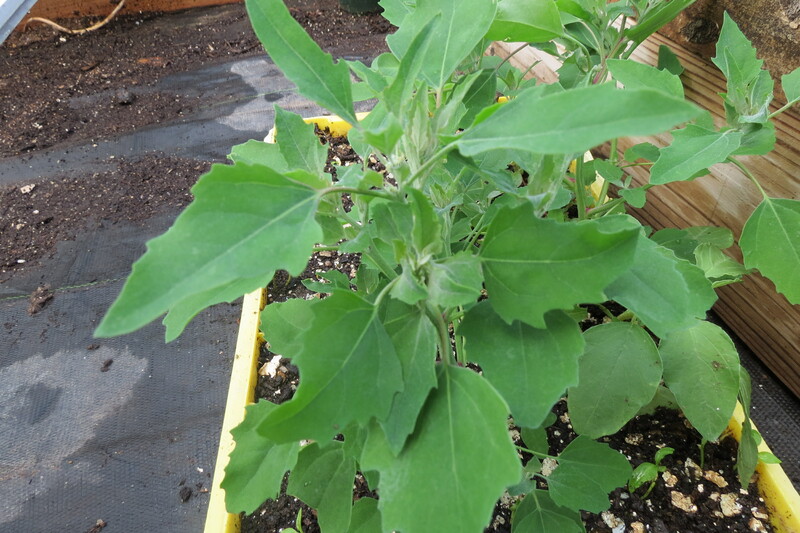 I have had to revisit my weed education courses… I am getting better at identification and I read about the things I find while they are growing. I have a great book for my location “Plants of Pennsylvania” and there is a wonderful local wildlife writer that publishes an article about native plants every Tuesday in our local newspaper. I read his article, then use the paper for mulching afterwards. Sources like these are where I get most of my information. Good luck on finding your weed feasts!